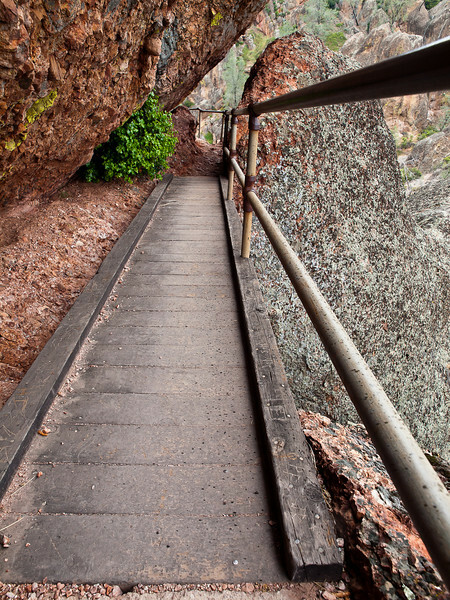 Precarious bridge on the Tunnel trail at Pinnacles National Monument. You have to crouch down and sort of duck walk across. Looking down made me dizzy so I just kept my eyes up and front!